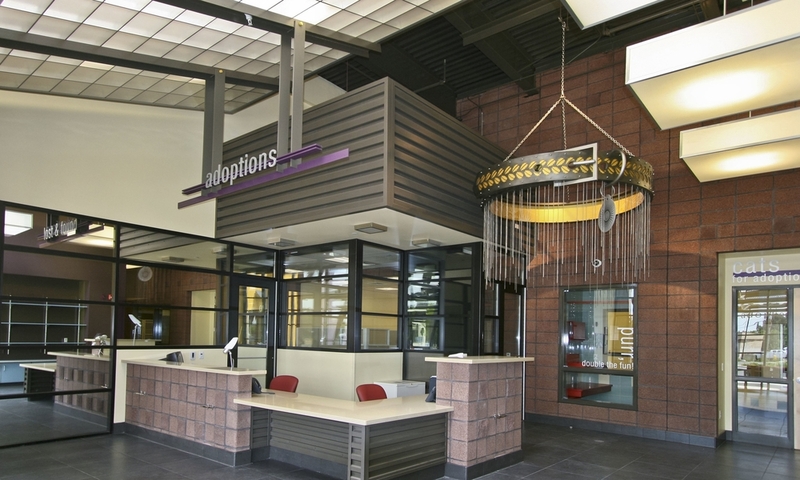 This project consists of a new 36,040 SF animal shelter designed by Animal Arts for the City and County of Denver to replace the existing animal shelter. The new building was located on a site that was formerly a chemical processing plant, so decontamination of the soil was necessary before building began.The shelter combines the functions of a police station, hospital, zoo, retail operation, education center and office building, all with specific requirements dedicated to animal care and housing.The Denver Animal Shelter is a LEED Platinum certified project. The following items outline the "green" features put into effect during construction.